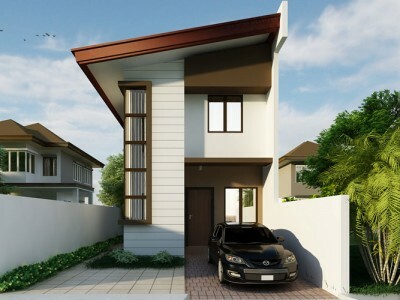 The latest addition to the series of Pinoy House Designs is a Two-Storey Modern House with the two floors giving a combined floor area of 266 sq. meters which can be constructed in a minimum lot area of 150 sq. meters and can a perfect choice for any type of subdivision housings. 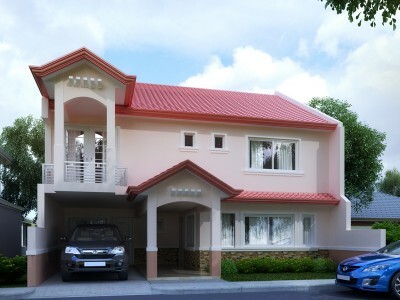 This house plan is designed with 4 bedrooms – one on the first floor and 3 on the second floor and 3 baths. 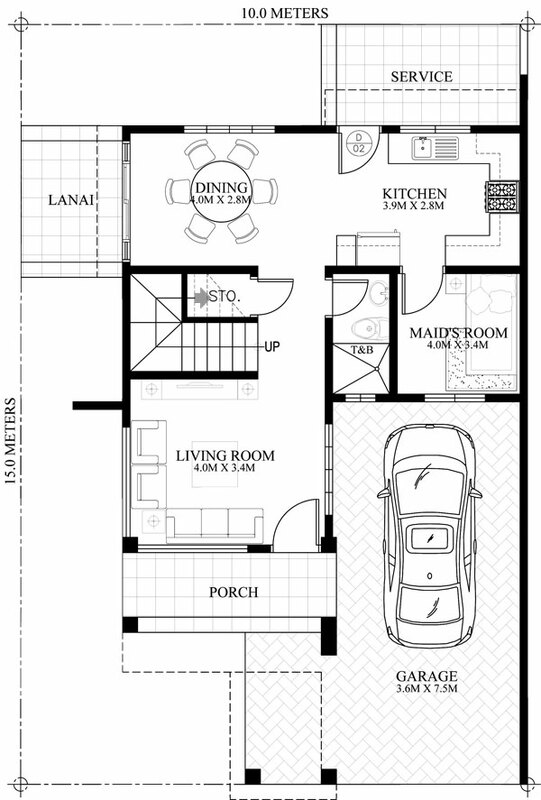 A firewall positioned on the right side of the house plan is a great idea to define in maximizing the living spaces. The average-sized porch on the left side of the front adjacent to the garage on the right section welcomes the living room. 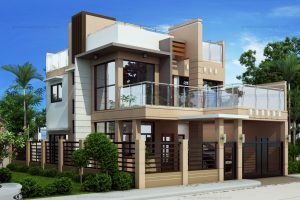 A wise layout of the ground floor features the staircase which serves as divider as well between the living and dining rooms. Opposite the stair case is a T&B and the maid’s room which offer good accessibility to other parts of the ground floor. The dining room is perfectly located on the left corner with the kitchen just opposite it. 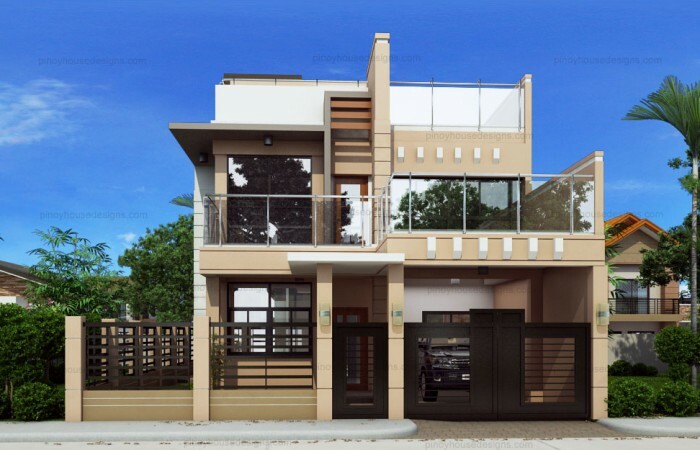 A service area is provided neighboring the kitchen and completes the sensibility of the arrangement of the different sections of this Two-Storey Modern House. 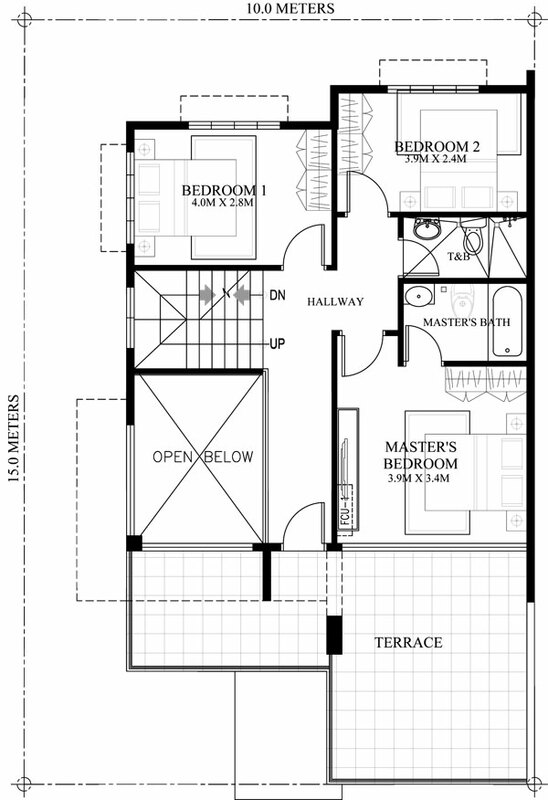 The second floor of this model house plan is designed with the bedrooms occupying the three corners of the main floor area with a family gathering space located on the left side completing the second floor. The two bath rooms constructed adjacent to each other separate the master’s bedroom and the other bedroom. In addition to this, each bedroom is furnished with stepped ceilings, special lightings and individual walk-in closets. The stylishness of this Two Storey Modern House Design is enhanced by the creation of the area above the living room into an open space which turned to be classy and more spacious overlooking the living room. The comfort of this house is further defined by the terrace above the carport which will serve as family’s activity room as well. 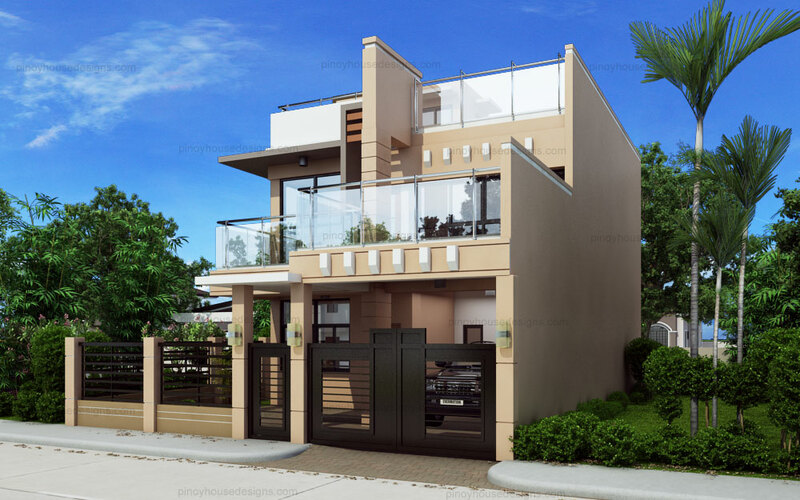 A striking house design in this PHD-TS-2016023 model is a revelation of modern architecture as detailed by a combination of almost all types of building media. 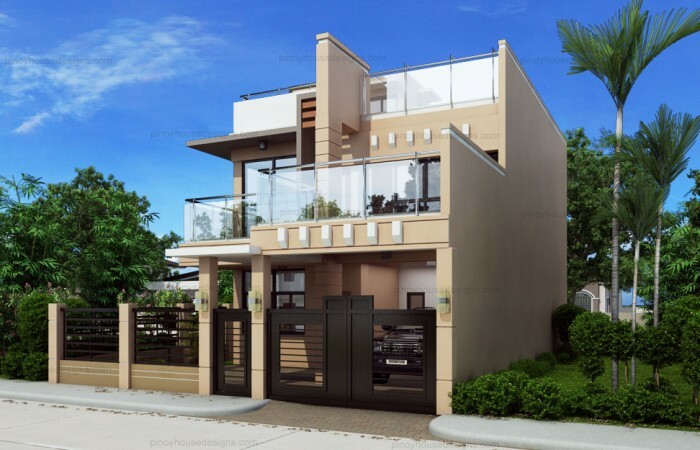 The selection and combinations of architectural materials used represent a pleasing vision and fine-looking home that accent a bright appearance. Elegant detailing and unique magnitudes featured on the elevations of this house plan render grace. 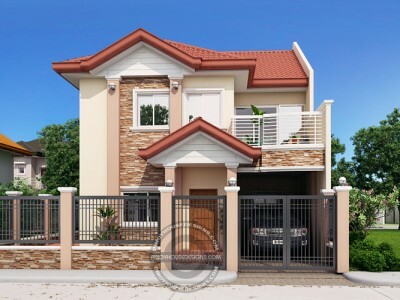 As main life’s necessity, Filipino families can choice from a variety of designs offered and featured in Pinoy House Designs with series of houses ranging at various sizes and costs. 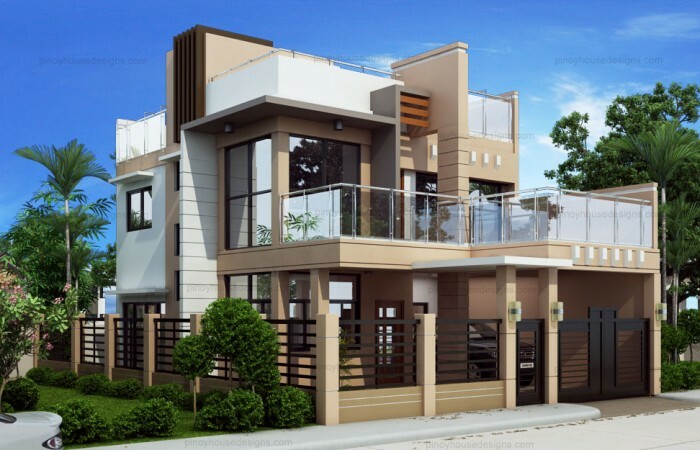 Every design caters and represents the various income levels. 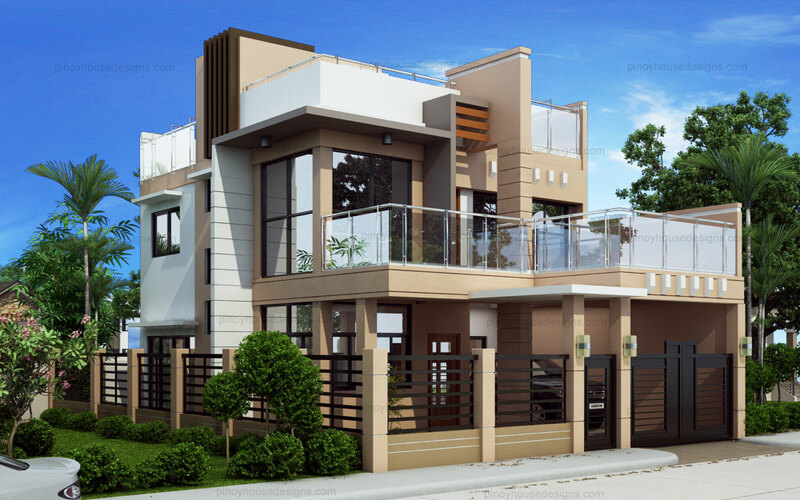 This Two Storey Modern House will be just of the best choices.